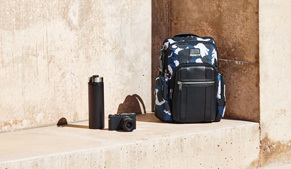 We collect and store personal information that you enter into this Site or that you provide through your dealings with Tumi’s Offline Channels, the Tumi Tracer® program or to any Tumi employee, affiliate or agent. Personal Information is information you provide that includes specific facts about you so that we can fulfil your orders and/or customize information we deliver to you. The personal information that we collect from you and store or that is submitted by you when you open an account, place an order, or otherwise transact business with us may include, but is not limited to: (i) your name; (ii) your address; (ii) your email address; (iv) your telephone number; and/or (v) your credit card or other payment information. This personal information is used to provide the products and services that you have ordered or requested, to process and ship orders, to send order and shipping confirmations and to provide customer service. If you agreed to receive promotional communications, your email address will be used to tell you about sales, special offers and new features on our Web Site. 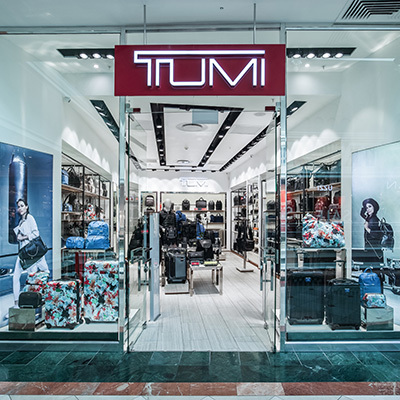 You may withdraw or limit your consent at any time by following the steps set forth in “Can I Indicate Whether or Not I Want To Receive Promotional Communications?” below or by contacting our Customer Service Department by email at service_eu@tumi.com. There are several other ways in which you can tell us whether or not you want to receive promotional communications from us. At certain locations on the Web Site, you will have choices to opt-out or opt-in to receive various types of communications. When you set up an account, or click on “Manage Your Account” within the Help Desk area, or place an order, you will have an opportunity to make or change your selections in this regard. You can also change these selections by clicking on an “unsubscribe” hyperlink contained in promotional emails we send you. Within your account you can individually change your newsletter settings under the link “profile” and the link “newsletter settings”. You can for example choose what themes your newsletter should cover and if you would like to receive your newsletter weekly or monthly. You can also change your settings or provide other information when you set up an account or click on “accounts settings” within the helpdesk or make an order. Name and URL of data you have requested and details of information you have downloaded. In general, such data cannot be linked to an individual. With the appropriate cookie settings on your device and if you have set up an account with Tumi, our Site identifies you by using your IP-Address and welcomes you at the top of the site with your first name. However, if you want to access your customer account you always need to login before. By using the link “contact us” on our Web Site you are able to send us a message. To do this you need to fill in the fields as listed (first name and second name, email address as well as subject) so that we can contact you. Your data will be deleted if the communication ends or your request has been completely resolved. You may set up a customer account on our Site. To do this you will need to provide your address, your first and second name, your email address and a password. Your customer account enables you to store data about your payment method. Further, your orders will be stored within the customer account. Setting up a customer account is not mandatory: you can make your orders without having a customer account with Tumi, or without logging in with using the same email address. 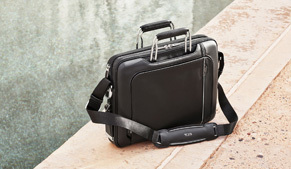 With the Tumi Tracer® program, you can register any products purchased by you. You only need to provide us with the 20-digit register code of the product and you need to have an account on our Site. 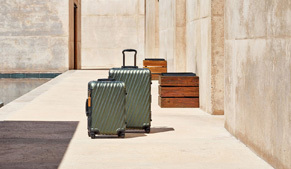 Once you have registered with Tumi Tracer®, if your product is lost we may be able to identify you as Buyer and return the product to you by using the 20-digit registration code. 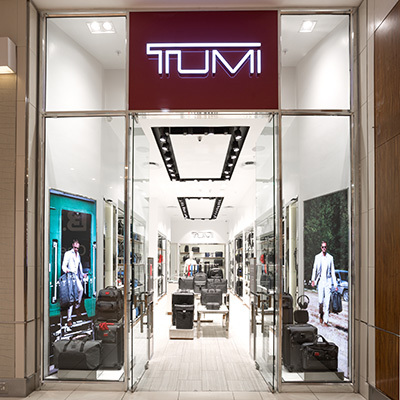 In our Tumi shops you can register for Tumi services (including but not limited to the Tumi Tracer® program, newsletters or prize competitions) by using a form or using some devices available in the stores. Any data you provide will be stored electronically and will be deleted once we no longer need it for the purposes for which you provided it. Our Web Site enables you to have your orders packed as gifts and sent to a third party. Please ensure that the person you would like to send the gift agrees with Tumi receiving any of her/his personal data for this purpose. Do I need to provide all requested data? 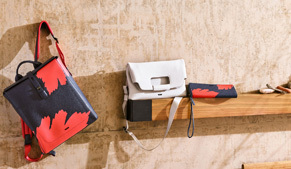 Any time Tumi collects data about you, you will be told whether the requested data is mandatory (for example your address for delivering your order to you) or if it is optional. Mandatory data will be marked with an asterisk (*). Optional data will be used for processing your request as well as for statistical purposes and for improving our services. For the latter, your data will be anonymized. We do not sell or ship any items ordered through this Site directly to anyone who we know to be under the age of 18 except with the legal guardians’ prior approval. Further, we do not collect any personal information from anyone who we know to be under the age of 14. If you are under the age of 14, you should use this Site only with the involvement of a parent or guardian and should not submit any personal information to us. Tumi only forwards your data to third parties if Tumi is authorized or obliged to by applicable data protection law. 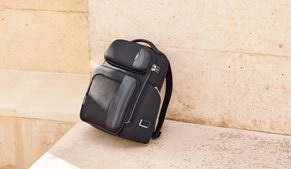 For example, Tumi is authorized to forward data if Tumi hires a service provider for the Web Site and asks the provider to process the data by order or if Tumi asks a third party to deliver your order to you. Those companies will be obliged by Tumi to comply with applicable data protection law. If you provide Tumi with your express consent to forward data this also authorizes Tumi. Finally, Tumi may be under a legal duty to disclose data to a third party, such as the police or an investigative authority. We may share personal information that you provide to us through this Site or through this Site’s Customer Service Department with our affiliates and service providers. In turn, our service providers may share this personal information with their affiliates and with service providers whom they engage to perform services related to this Site or the operation of our business. Examples of these services include Site operation, payment processing and authorization, fraud protection and credit risk reduction, product customization, order fulfilment and shipping, customer service, marketing and promotional material distribution, data analysis and, where applicable, data cleansing. These service providers are authorized to use this personal information only in connection with the services they are engaged to perform. We may use the services of one or more third parties to help us measure the effectiveness of our advertising and determine how customers use this Site. To do this, we may use web beacons and cookies provided by third parties, which enable us to collect information such as product codes and prices for merchandise that customers purchase and the pages visited. This information helps us to learn things like what pages are most attractive to our customers, which of our products most interest our customers and what kinds of offers our customers like to see. This Site is technically operated in the USA by Tumi Inc. in New Jersey, and your data will be stored in the USA. For transfers of personal data from the EEA to countries not considered adequate by the European Commission, Tumi have put in place adequate measures to protect your personal information. Various security measures, including Secure Socket Layer (SSL) encryption technology, are used to protect personal information that we collect. If you place an order through this Site, you will be asked to set up an account and provide an email address and password. You must provide, among other information, an appropriate email address and password in order to access account information. Please note that while we have endeavoured to create a secure and reliable site for users, the confidentiality of any communication or material transmitted to/from this Site cannot be guaranteed. In order to help protect your personal information further, you should be careful about providing your password to others. 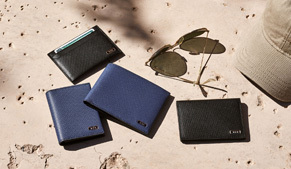 If you wish to cancel your password, or if you become aware of any loss, theft or unauthorized use of your password, please contact this Site’s Customer Service Department by email at service_eu@tumi.com. How Can I Access, Correct and Update Personal Information? What other rights do I have with respect to my data? You can access, correct and update certain personal information that you have provided to us by clicking on “Manage Your Account” within the Help Desk area of this Site. At any time and free of charge you can ask us to inform you on your data, the source, the recipients, and the purpose of storing such data. Finally, you can ask us to correct, block or delete your data. What About Contests and Prize Competitions?